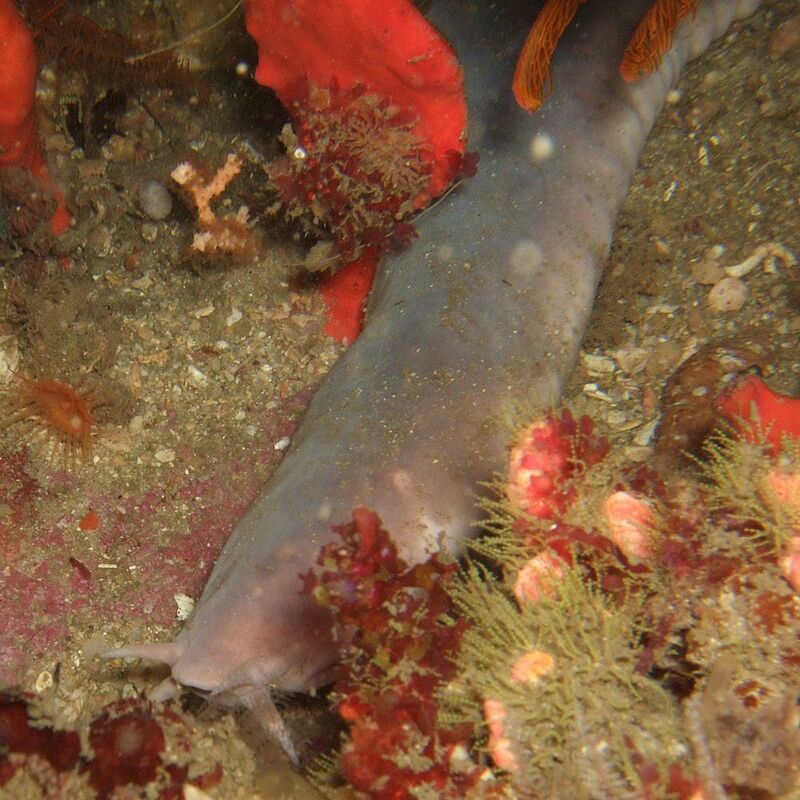 Hagfish have elongated, eel-like bodies (so flexible they sometimes tie themselves in knots). They have four hearts, two brains, and a paddle-like tail.They have cartilaginous skulls (although the part surrounding the brain is composed primarily of a fibrous sheath) and tooth-like structures composed of keratin. Colours depend on the species, ranging from pink to blue-grey, and black or white spots may be present. Eyes are simple eyespots, not compound eyes that can resolve images. 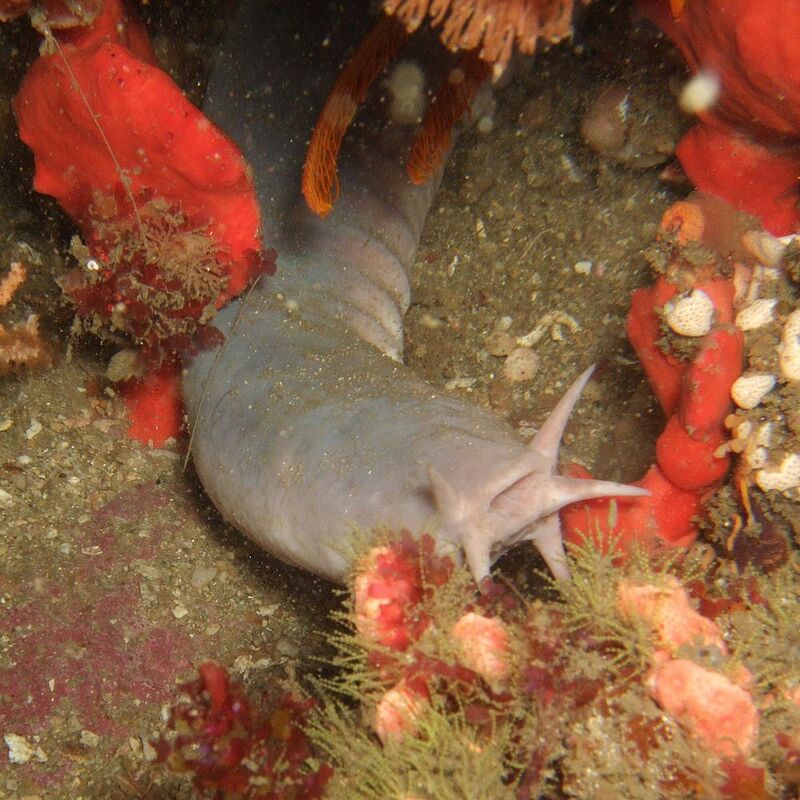 Hagfish have no true fins and have six or eight barbels around the mouth and a single nostril. 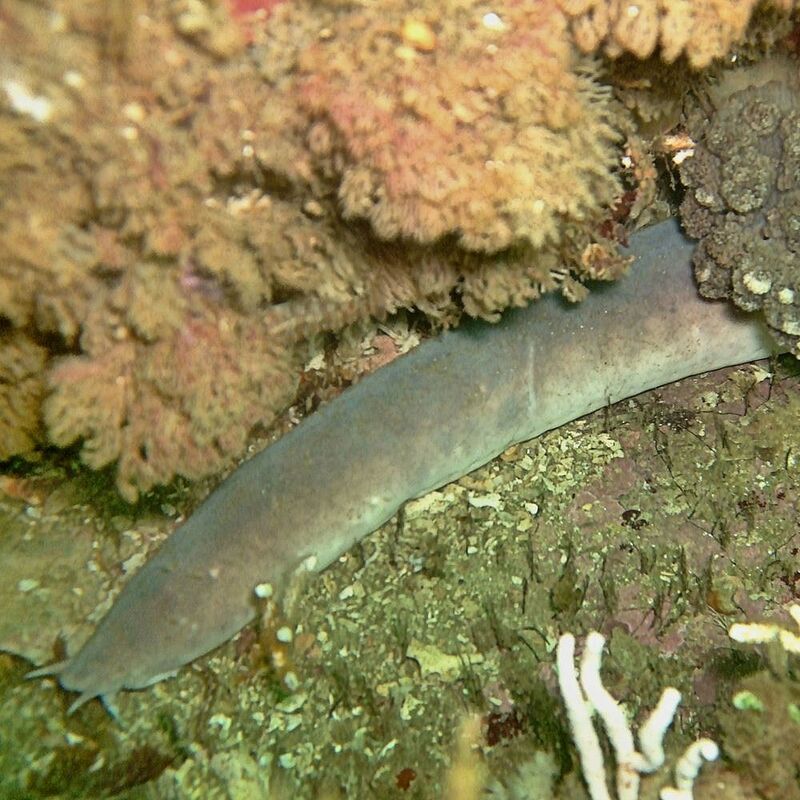 Jaws absent,no bones.Body naked,snake-like.External gill openings:5-8 No paired fins No dorsal fin. Caudal fin extends onto dorsal and ventral surfaces. Southeast Atlantic: known only from Walvis Bay, Namibia to Durban, South Africa.